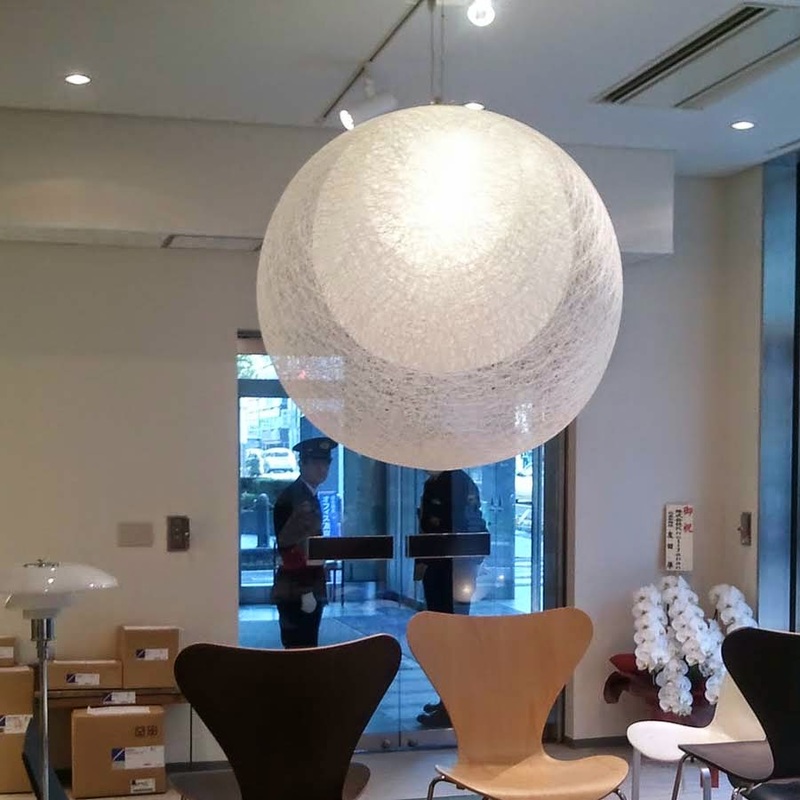 Discover the Yamagiwa Mayuhana lamp designed by master architect and Pritzker Laureate "Toyo Ito", and made in Japan. Toyo Ito is a Japanese architect known for creating conceptual architecture, in which he seeks to simultaneously express the physical and virtual worlds. Toyo Ito's Mayuhana is one of the most iconic modern ceiling lighting fixtures of the last decenia. The lamp is popular in Japan and is finally available in the US through design retailer NOVA68. 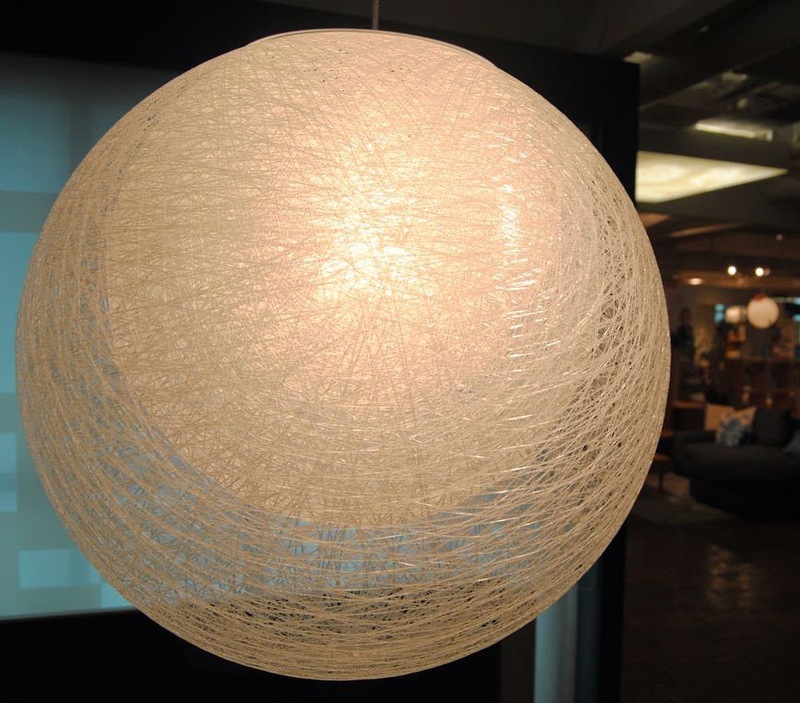 The Yamagiwa Mayuhana Pendant series has a spun thread design which is reminiscent of a cocoon and gives off a soft light that is enhanced by the double and triple shelters of this delicate glass fiber creation. 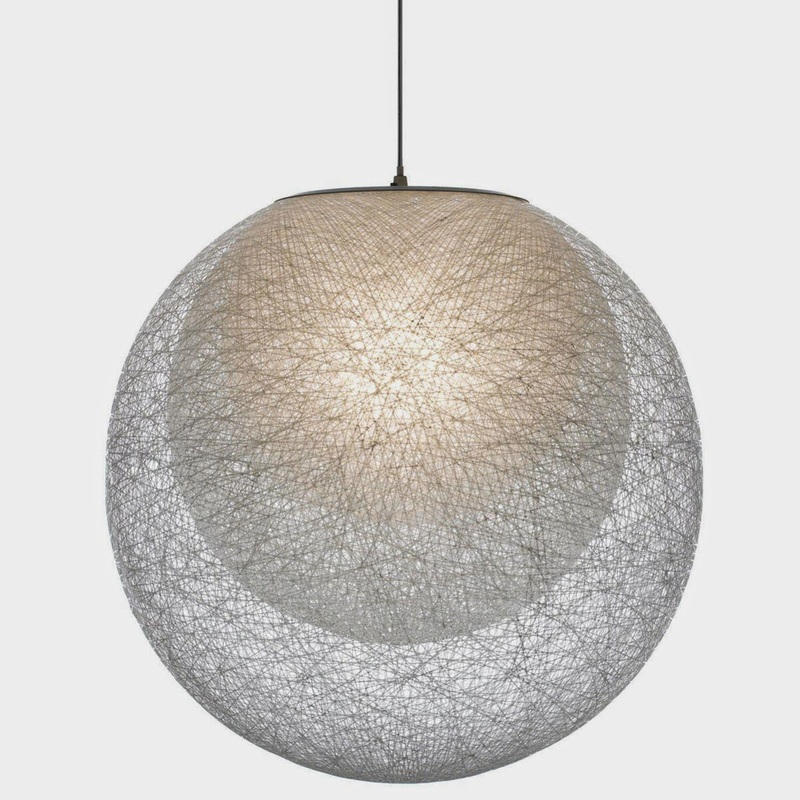 This unique fixture appears to hover around the bulb in a similar way to the Random Lamp from Moooi but instead enclosed the light bulb in three spheres (whereas the Random Light uses just one sphere). This series was created by reeling string around a mold the way thread is spun off a cocoon. The softness of the light is reminiscent of a traditional Japanese portable paper lantern called Bon-bori and is enhanced by the light coming through the double and triple shelters. 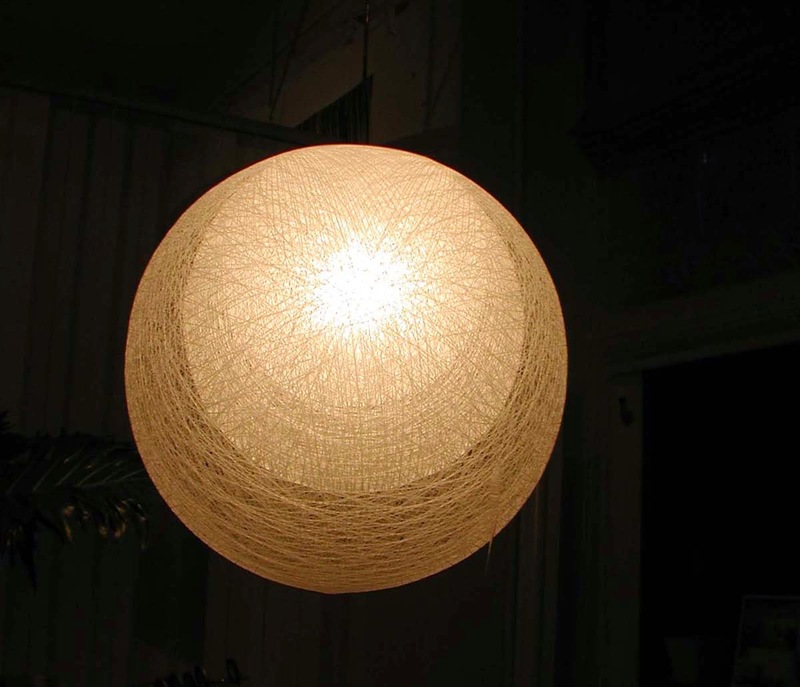 It brings to mind the image of the light depicted in traditional Japanese architecture. Throughout his career, Toyo Ito has been able to produce a body of work that combines conceptual innovation with superbly executed styling; his latest lighting design titled "Mayuhana" is a continuation in his path for clever and trend-setting design that is both innovative and timeless. These modern lights are available in different editions including table lamps and pendant lights. Mayuhana is a conversation piece and decorative focal point in any room.